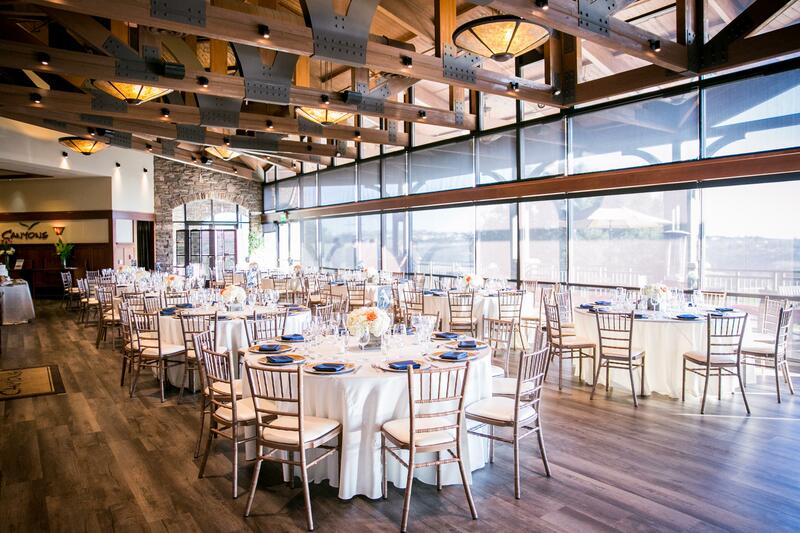 Make your next event extraordinary at The Crossings at Carlsbad and experience a new way to do business. 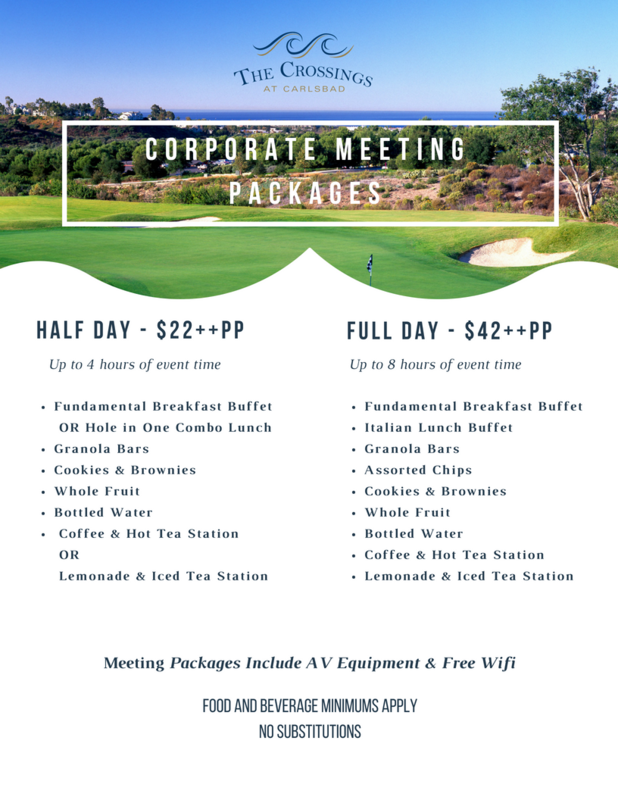 With unforgettable views of the Pacific Ocean and surrounding award winning golf course, The Crossings at Carlsbad provides an invigorating and unique twist to the traditional business meeting. 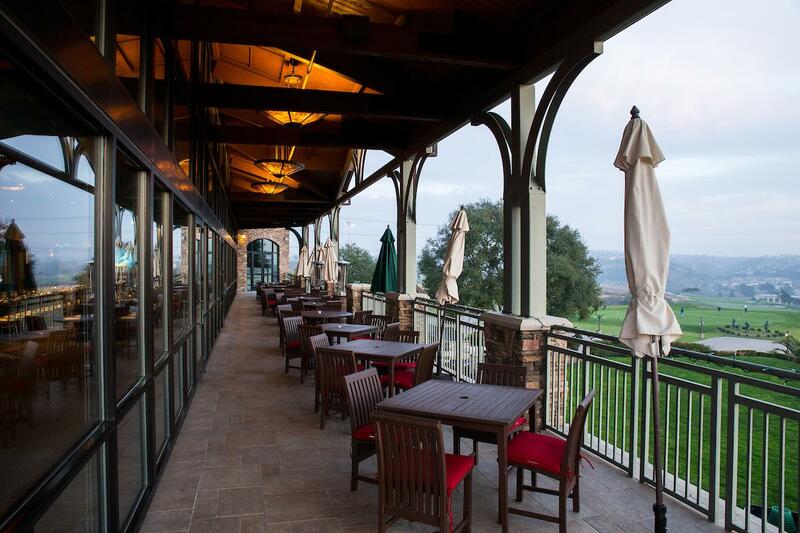 Conveniently accessible off of Interstate-5, The Crossings at Carlsbad’s craftsman-style clubhouse offers comfortable décor and state-of-the-art business amenities. 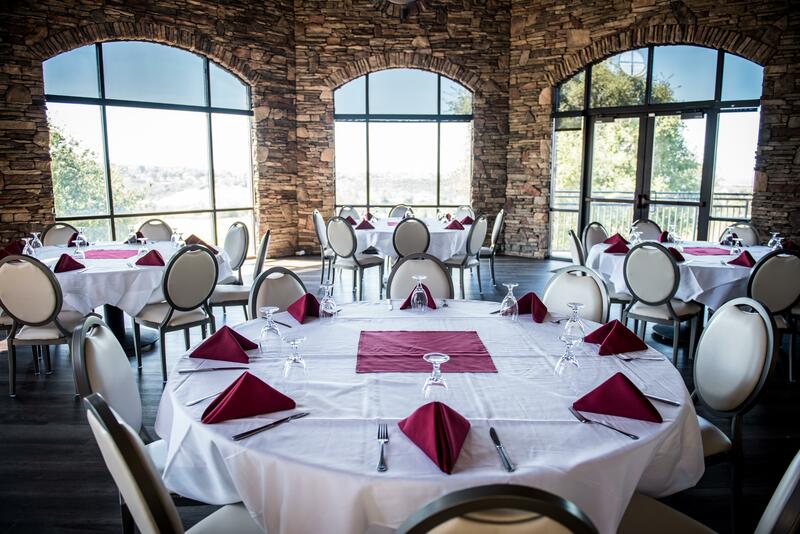 Whether you're looking for a small meeting space for 10-20 people, a cocktail style party for 250 or anything in between The Crossings has you covered. 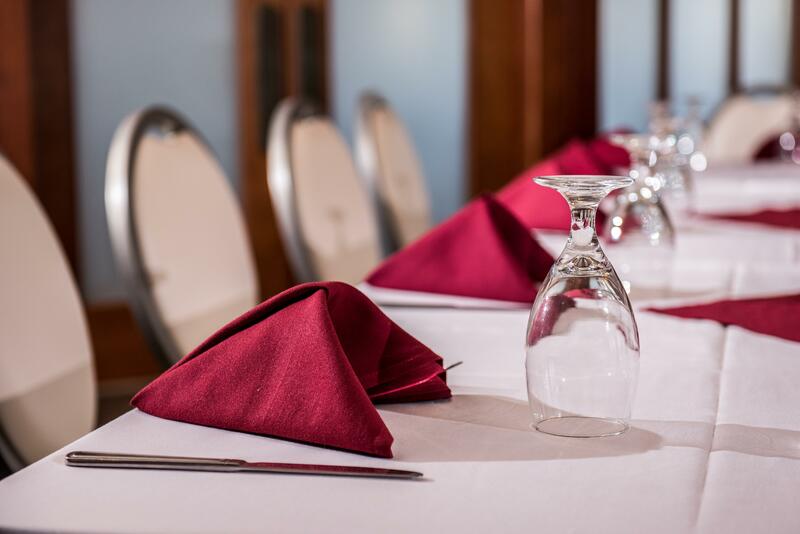 Ask our catering directors about our customizeable packages to host your meeting with a delectable breakfast, lunch, dinner or a few light snacks. 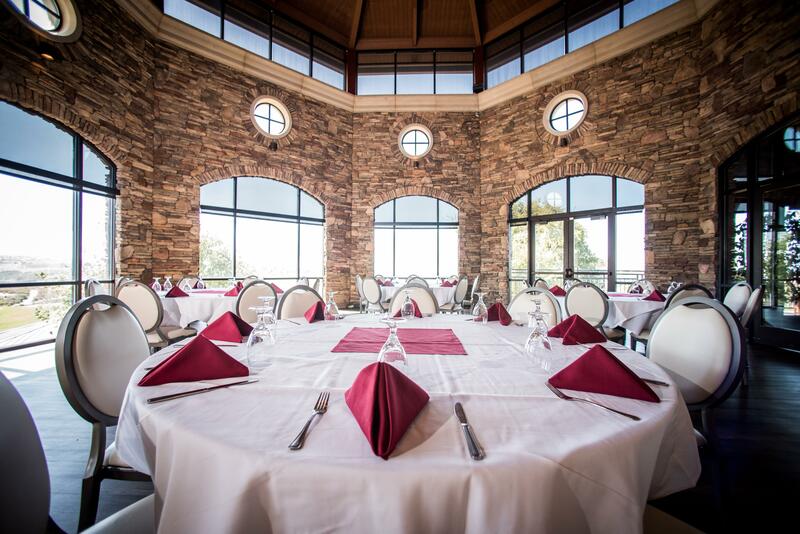 All of our Private Event Spaces have Food & Beverage Minimums which vary based on day of the week, time of the day and time of the year. Please fill out a request form for more information. 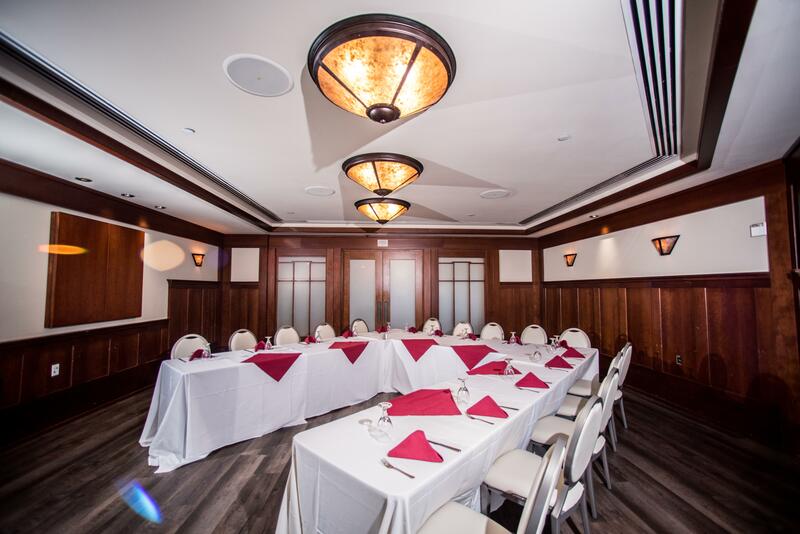 This space is our more private secluded meeting space that is best for smaller intimate meetings or dining experiences. 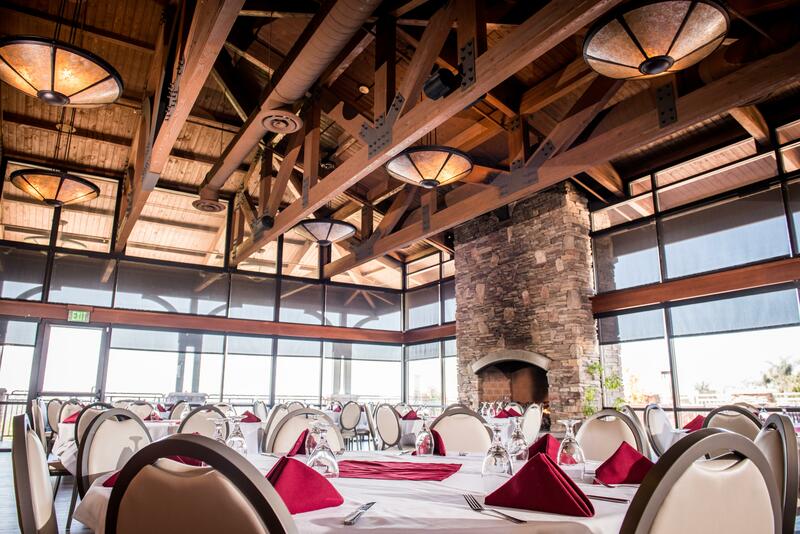 It can accommodate up to 30 people dependent upon the desired set up needs. 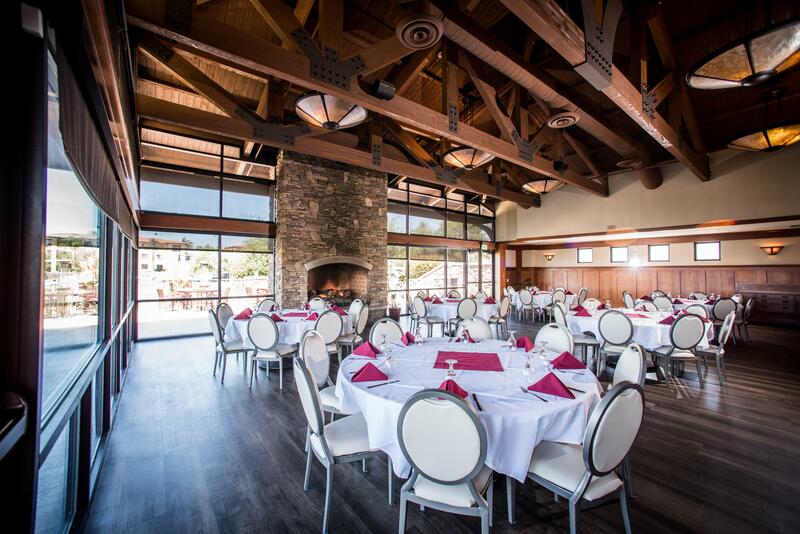 With dark wood, frosted windows and a built in big screen for presentations, this space lends to a more private experience. This space is a guest favorite. 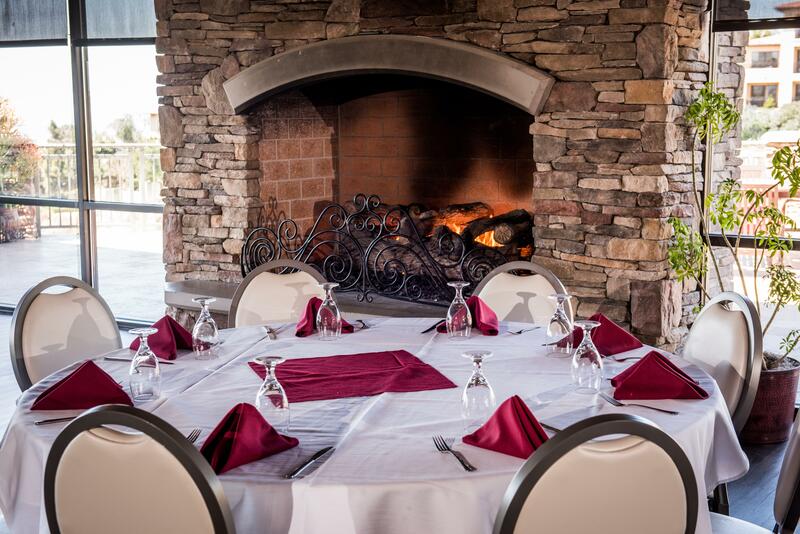 It can accommodate up to 60 guests dependent upon the desired set up. 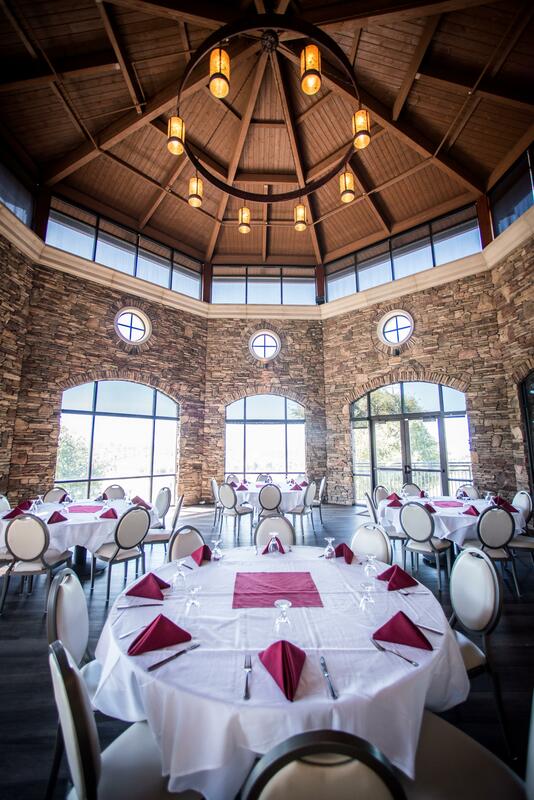 This gorgeous round room is detailed in stone and has gorgeous panoramic views of the Pacific Ocean and our golf course. 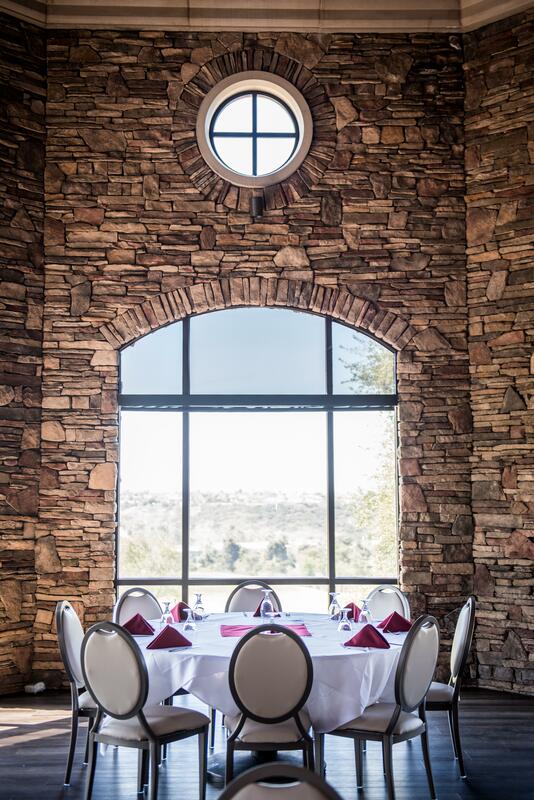 This space also boasts an adjoining patio with views as well. 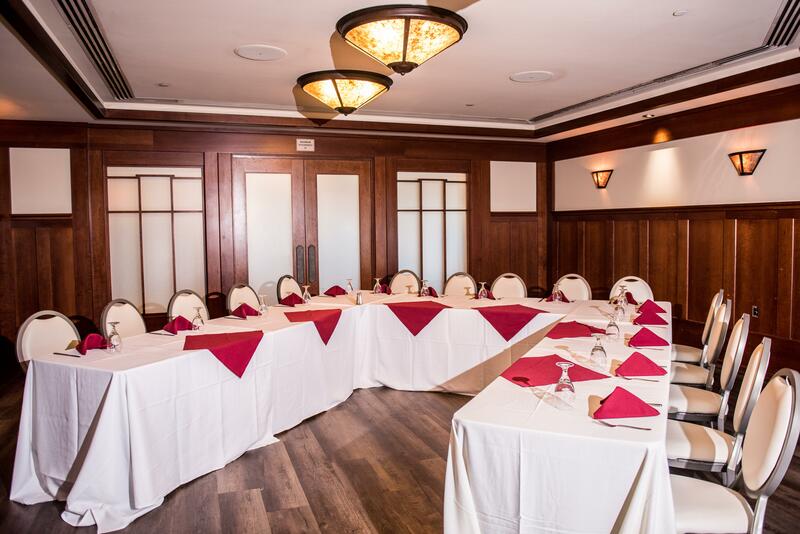 This space is a wonderful alternative to the traditional banquet style meeting rooms that accommodates up to 80 guests dependent upon desired set up needs. 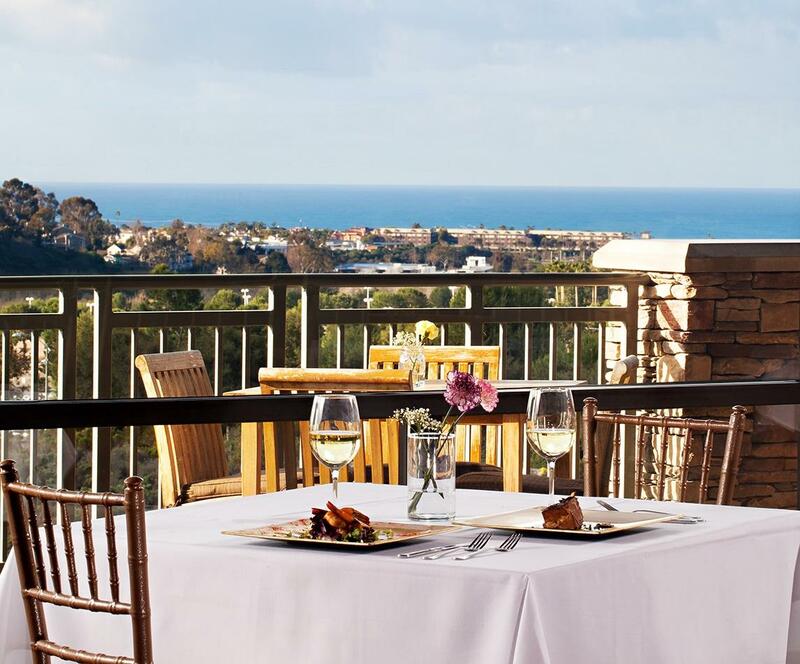 With floor to ceiling windows and panoramic ocean and golf course views this space is breathtaking. 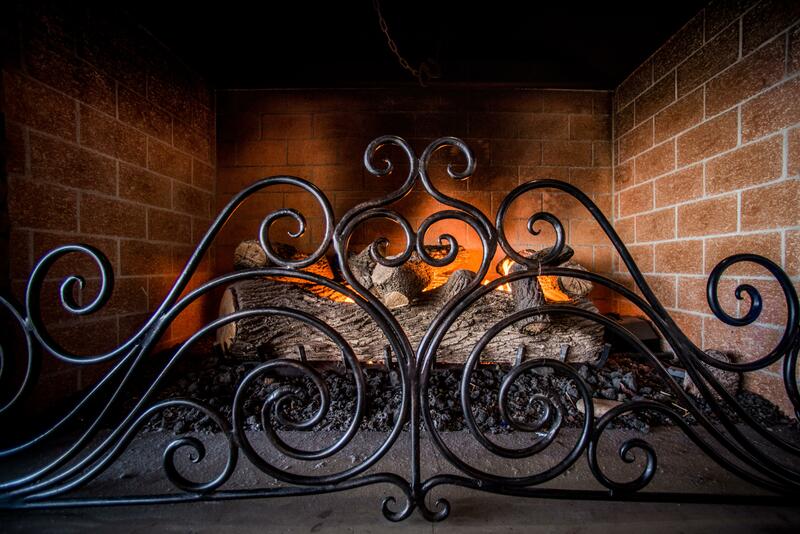 The focal point is a built in fireplace created in stone and complimenting the lodge like feeling of the clubhouse. 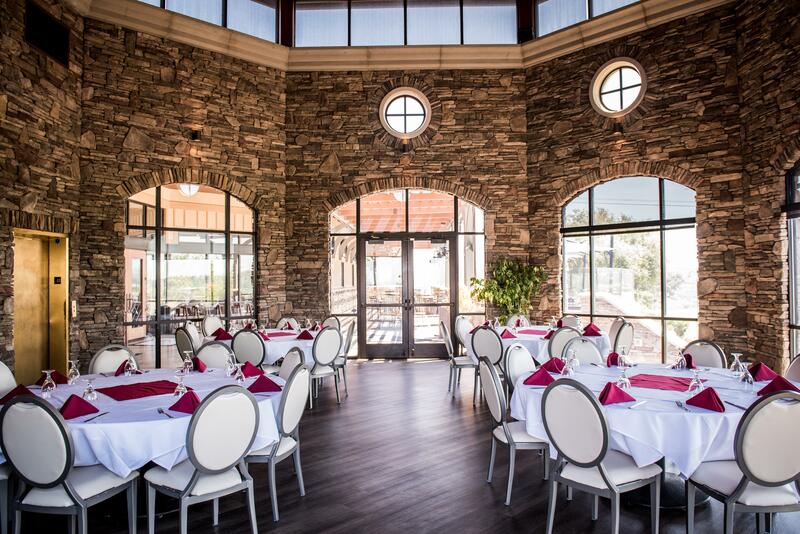 It also has an adjoining patio that is great for lunch, cocktail hour or just for mingling. If you are looking for something your group will remember, this is it. 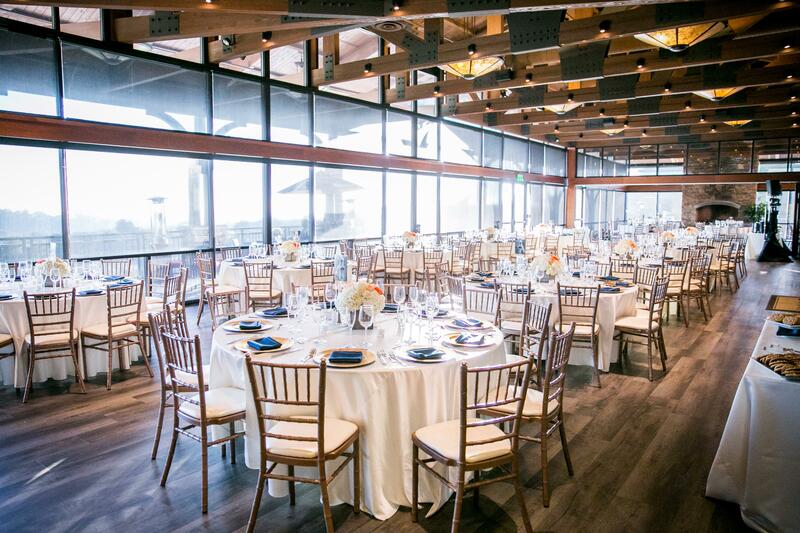 This space has floor to ceiling windows that offer a sweeping panoramic view of the Pacific Ocean and our Award Winning Golf Course and offers seating for up to 250 guests. 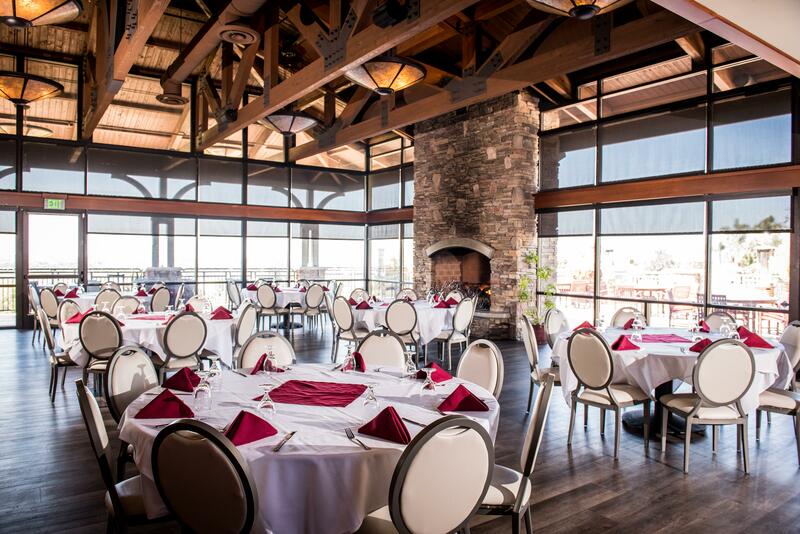 The space was built in 2007 and is adorned with elements of wood and stone, enhanced vaulted ceilings, a beautiful stone fireplace, a grand built in bar and a wrap around veranda with heavenly panoramic views of the golf course. 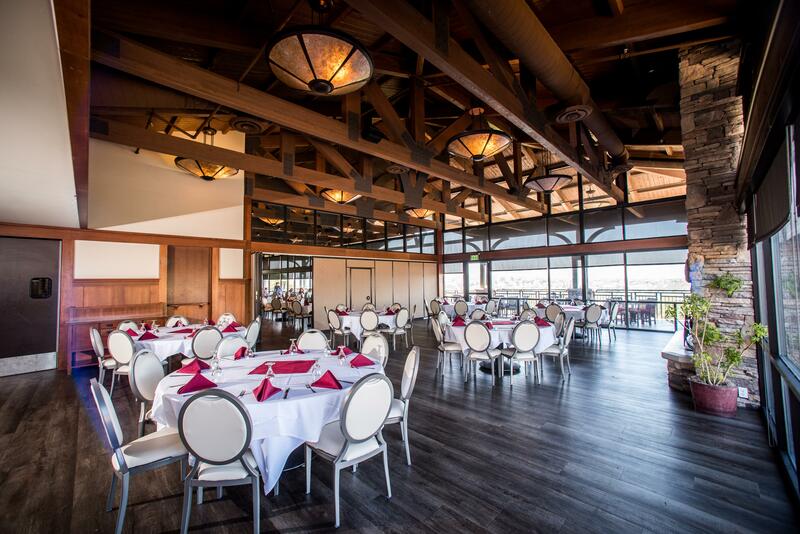 The Crossings at Carlsbad can Easily Accommodate Team Building Events with Putting Contests, activities on the driving range or a 9-hole or 18-hole round of golf depending on availability. 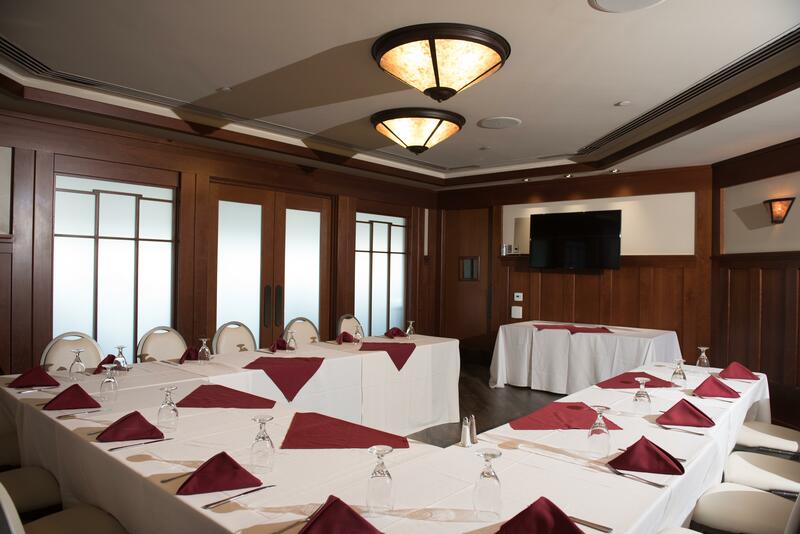 To book your next meeting or event, click the button to request a proposal. 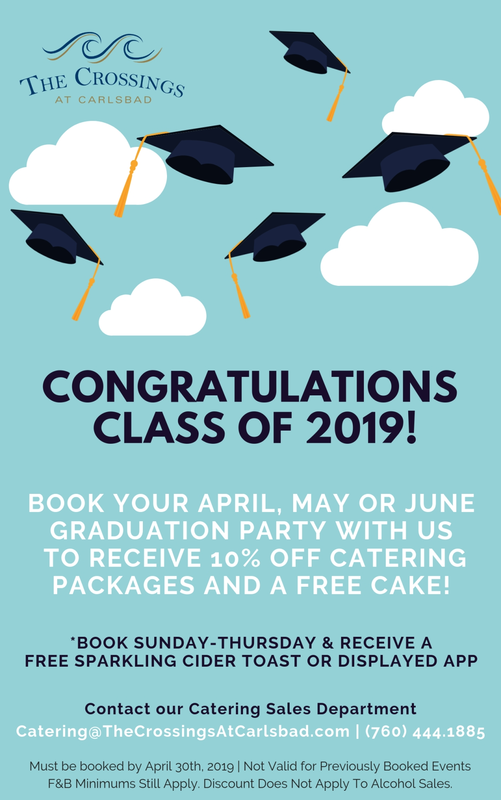 You can also e-mail catering@thecrossingsatcarlsbad.com or call 760-444-1800 ext. 4 and we will respond to you as soon as possible.